The name “Skiathos” was given to the island in the pre-Hellenic period. There are two alternatives about the origin of the name. According to the first, the name was given by the Pelasgians, who were the first inhabitants, because they were impressed by the great shadow (skia in Greek) of the many trees they found there. According to the other version, the island took its name after Dionysus, the main god on the island, as his cult name was “Skianthos”. After its first settlers, Skiathos was inhabited by Cretans and then by Mycenaeans. During the Persian Wars, Skiathos was a great help to the Athenians and its harbor was used as a fleet base. In 478 B.C., the island became a member of the Athenian League. After the Peloponnesian War (404 B.C. ), Skiathos gained its autonomy. Despite the efforts of the Spartians to conquer the island, Skiathos managed to stay free. Under the Macedonian rule and the enforcement of tyranny, the inhabitants of Skiathos suffered very much. In 146 B.C., the Romans took the island and gave many liberties to the Skiathians who lived peacefully until 88 B.C. when the King of Pontus Mithridates the 6th destroyed the island in the war against the Romans. During the Byzantine period, Skiathos was part of the province of Thessaly. In 1204 A.D. Crusaders conquered Constantinople and the Byzantine Empire fell. All its territories went to the Crusaders except for the Aegean islands which were given to the Venetians. During this period, Skiathos, was ruled by the Ghisi family, with the help of Marco Sanudo (Duke of Naxos). The Venetians, with the acquiescence of the Skiathians, stayed on the island until 1538 when the Ottomans managed to conquer it. In 1830s Skiathos became free along with the rest of Greece, the island's capital was moved to the original site, where it still remains. The inhabitants had to leave the town and move at 1335 to Kastro, (the Greek word for castle), a high rock, overlooking a steep cliff above the sea at the northernmost part of the island, where they were safe. During the 19th century Skiathos became an important shipbuilding centre in the Aegean due to the abundance of pine forests on the island. An act of great importance both for the island and the whole of Greece was the creation and raising of the first official Greek flag in September 1807, at the holy convent of the Annunciation of the Virgin Mary (monastery of Evagelistria) in Skiathos. 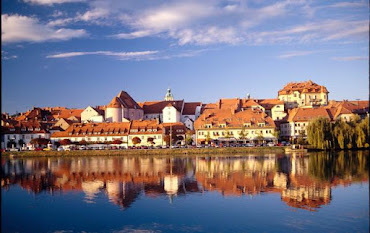 In World War II, the island suffered from the Nazis. On 14 September 1943, the Nazis sank a submarine with Skiathian heroes and on 23 August 1944 they burned the island and executed seven young Skiathians. Skiathos Cemetery spreads on the slope of the hill, with a great sea view. It is an important sightseeing, which you don’t easily find in a Greek island. The style of the cemetery can be traced to the Romantic period. As all the Greek Cemeteries of that period it has it’s entrance at the east side and a main path, which separates it in two parts, the south and the north. At this times Skiathos was a class sociaty and that was reflected at the Cemetery, where the north part was for the upper class and the south part was for the middle-lower class. Major Greek figures are buried in the Cemetery - heroes of the Greek Revolution and world famous writers as Alexandros Papadiamantis. The collection of sculptures in the cemetery represents a significant example of the Neoclassicism, a revival of the styles and spirit of classic antiquity inspired directly from the classical period (stelae). Some samples can be found of Egyptian patterns, such as obelisks. 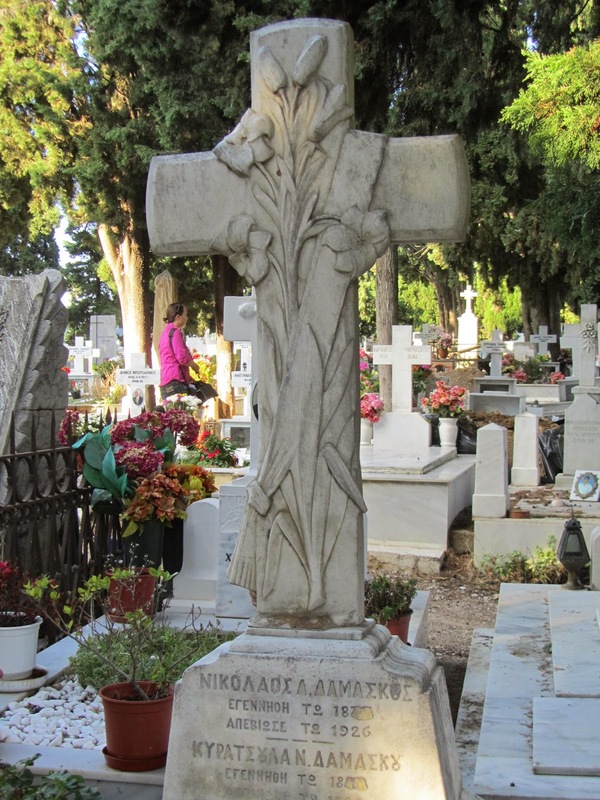 Most of the graves in the Cemetery of Skiathos are endangered and they need conservation. As the main goal of Culture association Skiathos is to promote and preserve the culture heritage of Skiathos, they have already started to collaborate with the General Directorate for the Restoration of the Ministry of Culture to route the conservation of the cemetery. View Cemetery of Skiathos in a larger map.